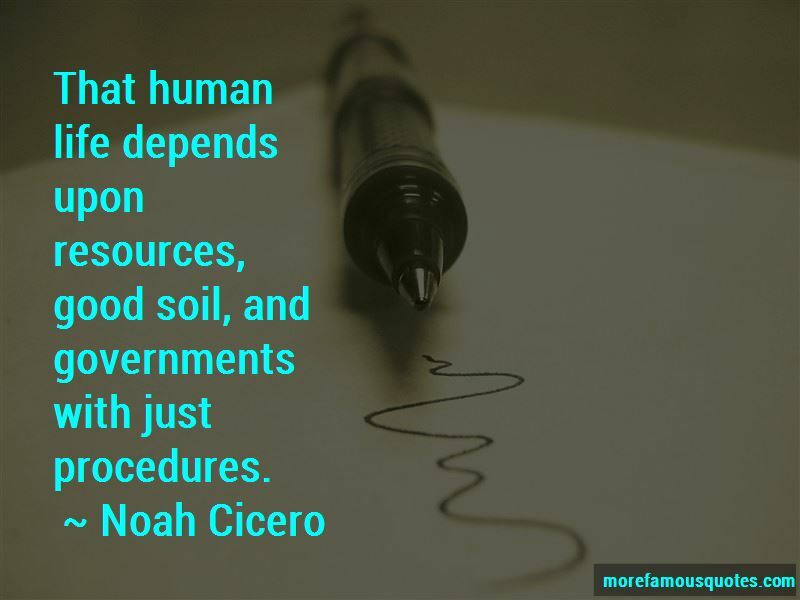 Enjoy the top 15 famous quotes, sayings and quotations by Noah Cicero. When a person screams in pain, the actual pain is only half the noise they make. The other half is the terror at being forced to accept that they exist. This usually happens in the white-collar classes: These people take to worshipping pointlessness. Examples are Twin Peaks, Christo's artwork, and academic liberal politics. But a strange thing happens; these people view their ultra pointlessness as a way of being like God. A guy is on the radio talking about the war. He says in less than two hours, we shall fight to preserve freedom. America wants to give another country freedom. That doesn't sound that bad, or does it. You are only allowed to ask questions if I give you questions to ask. 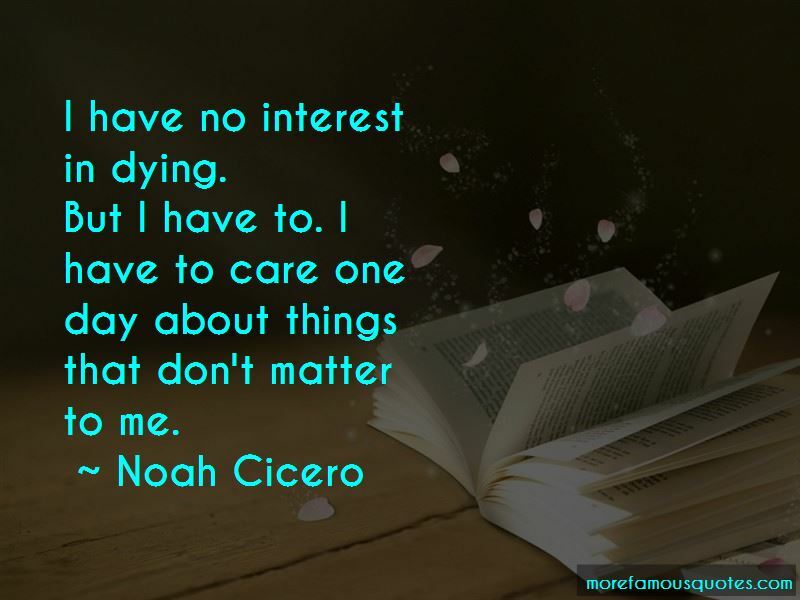 “I have no interest in dying. 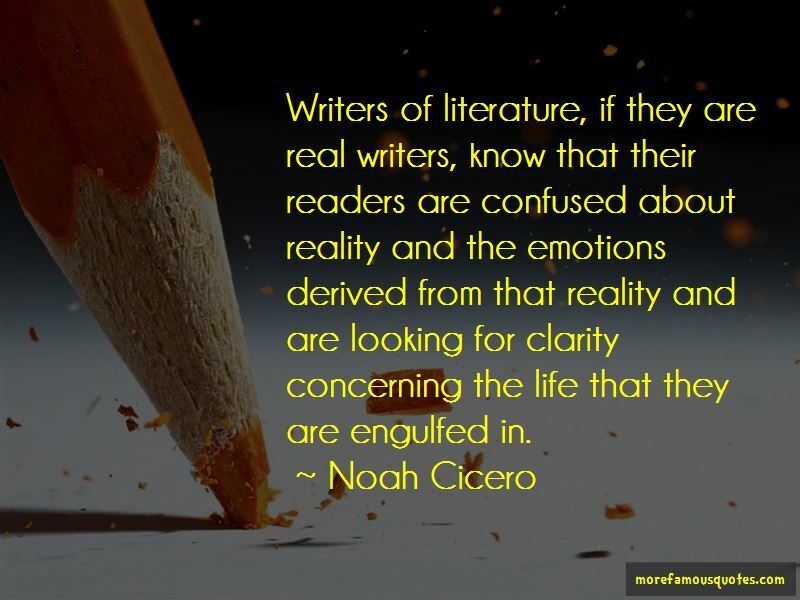 Want to see more pictures of Noah Cicero quotes? 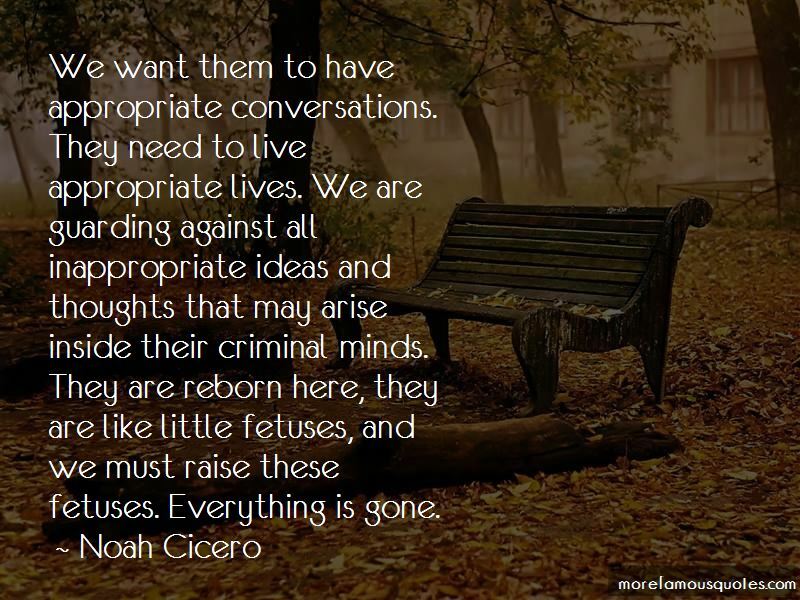 Click on image of Noah Cicero quotes to view full size.